First staged in 2015, the focal point being Buenos Aires the city which later this year will host the Youth Olympic Games, despite only a few years of life, continually gaining wider international recognition, World Table Tennis Day has been nominated for the 2018 Sports Business Awards. The winners will be known at a lunch time Awards Ceremony to be held on Friday June 1st at the Brewery in London. Wide ranging and comprehensive, Sports Business Awards were conceived to acknowledge the efforts of individuals and teams who make sporting success in every sphere possible. At the beginning of April, Sports Business Awards, established by Sports Business Journal and SportsBusiness Daily, announced the nominees for this year; World Table Tennis Day was shortlisted in two categories: Best Mass Participation Event and Best Sports Governing Body Initiative. It is not the first time that the ITTF has been present at this ceremony. Last year World Table Tennis Day was nominated the Best Mass Participation Event. On that occasion, Cancer UK Research – Cancer Research UK’s Race for Life Pretty Muddy was the winner. 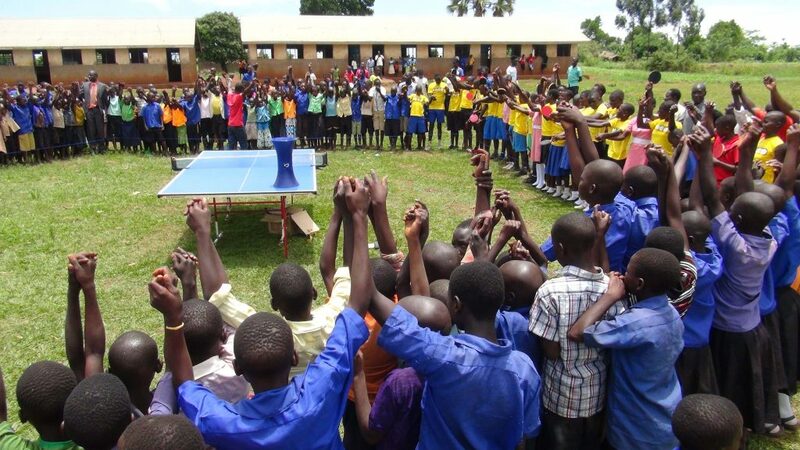 Notably in 2012 ITTF won the category “Making the Difference” for its project “Table Tennis for Peace in Burundi-Congo DR”. Three years later the thanks the ITTF Development Programme, nominations were received in two categories: Ultimate Sport Federation and Association and Global Popularity and Expansion, in the latter category emerging the winner. Now once again the short list has been achieved. It is an achievement in itself and has been realised thanks to the tireless efforts of all concerned in organising the recent most successful and rewarding World Table Tennis Day.